Priced to Sell Plus $3K Closing Credit! A Steal! 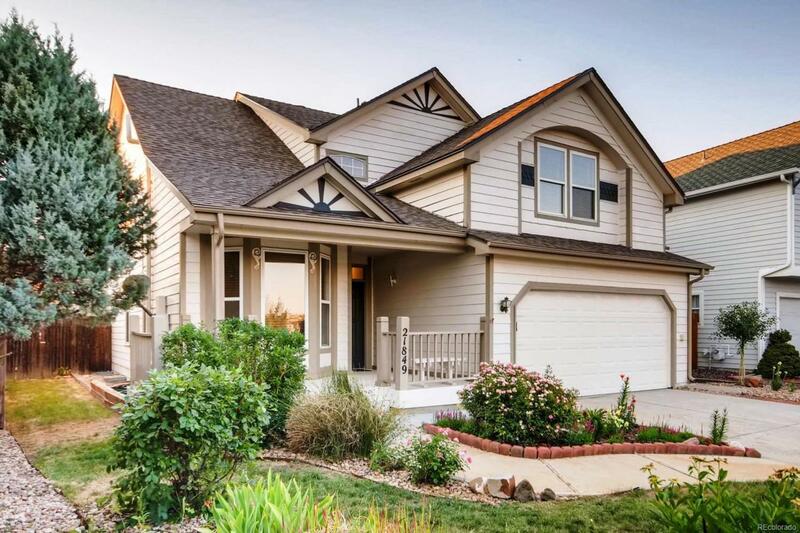 Tree-Lined Streets, Shade-Dappled Lawns and Lemonade on Your Front Porch. Victorian Charm Reminiscent of a Simpler, Gentler Time in America. Welcome to This Adorable Cul-de-Sac Home in Delightful Saddlebrook Farm! This Nicely Updated 2-Story is Ready for Immediate Move In! Newer Roof & Appls! Bright Spacious Living Spaces! French Doors and Bay Window Highlight a Main Level Study. Tile Floors Flow Through Kit, Nook and Fam Room. A Cozy Brick Fireplace Anchors the Inviting Family Room, Complete with Brick Fireplace. A Sweeping Staircase Ascends to the Upper Level, Offering a Vaulted Master Suite (*With Heated Tile Floor in the Master Bath! ), Two More Bedrooms and Updated Full Bath. The Basement is Framed for 4th Bedroom and has RI Plumbing for Future Bath. Walk to Playground, Picnic, Tennis and Trails at Nearby Riva Ridge Park! Pedal or Stroll the Sulphur Gulch Trail to the Farmer's Market, PACE Center or Discovery Park!